Your Ultimate Bricklayers in Melbourne. Experience the difference that we can make for you. Searching for the best and affordable bricklayers in Melbourne? Then R&K Bricklaying is a Melbourne based company that specialises in both domestic and commercial bricklaying and blocklaying works. Over 35 years of extensive experience in this industry, we pride ourselves on optimum customer satisfaction and quality teamwork. Our professional bricklayers in Melbourne can handle every brick and block laying project with professionalism and dedication. So, you can rely on us for a high standard of service and to get the value of your money. For us no job is small or big, we complete them with the aim of providing comprehensive services from labour to material provision. All our bricklaying and blocklaying solutions include various levels of construction. Also, we offer different brick types such as brick retaining, concreting, brick barbeque etc. Depending upon the extent of work needed, we design customised packages to accommodate the expectations of our valued clients. We ensure to take up all responsibilities from new constructions to fixing small repairs. Our services are base on the highest standard of workmanship and experience at very competitive pricing. 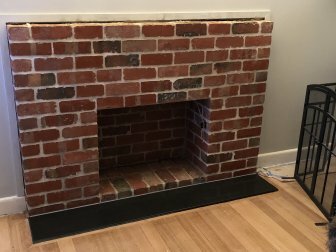 Our bricklayers in Melbourne have outstanding skills and you will find them very much updated with the choice of construction materials and equipment. With R&K Bricklaying motto,” Quality is Everything” you can rest assured that each professional has been fully briefed about each job will be completed with honesty and integrity. Thus, to experience excellence in work contact us on 0419 801 823. We will be delighted to discuss your current or future projects.